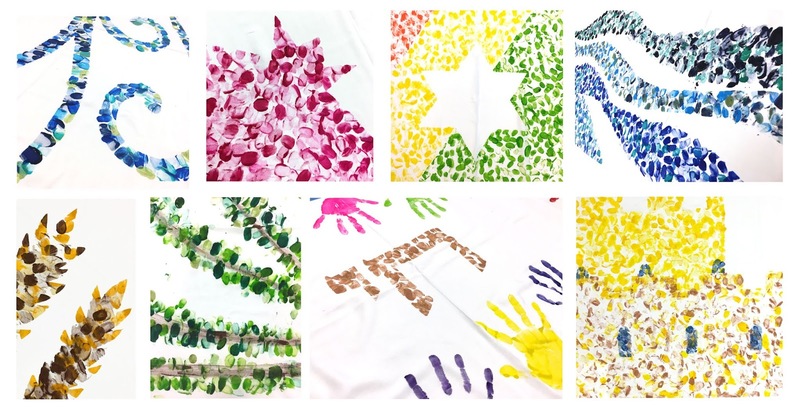 You may have already read the whole story – how this summer at URJ Camp Newman my wife (Rabbi Shawna B2) and I led campers in the creation of new tallitot (prayer shawls) for the camp, one session at a time. 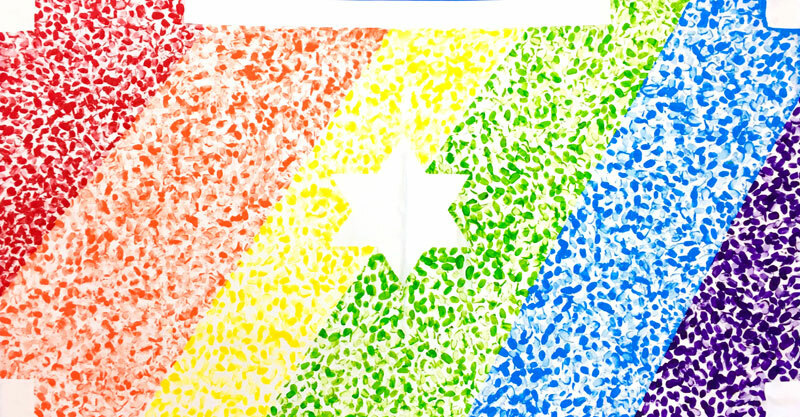 If you haven't read that post, please go check it out on the camp blog: https://campnewman.org/2018/07/06/all-hands-on-deck-fingerprint-mosaics-at-camp-newman/. But here's something the post doesn't have: pictures of all of the finished tallitot, which we're pleased to share here. Tzofim's tallit is a Jerusalem skyline, complete with turrets and archways. Rishonim is out "nature" session, so they made a tree – with a branch for each of their twelve "tribes." Bogrim made the seven species: grapes, dates, wheat, barley, figs, olives, and pomegranates. in honor of Camp Newman's first summer "by the bay." "Let justice roll down like water, and righteousness like an ever-flowing stream." 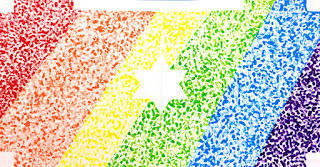 And if you want more information on what we can do with your community, check us out on the web at www.PaperMidrash.com.